From restaurants to nightlife or from Central Park to Broadway, New York City has something to offer people from any walk of life. The quality of life stems from the multitude of activities available on any given night that satisfy any appetite. Over the next week Lastminutevacations.ca will be exploring some exciting things to do in the Big Apple. First, a quick look at the main tourist attractions. This iconic symbol boldly stands in New York Harbor as a reminder of American liberty, democracy, and freedom. This gift from the people of France has stood as proudly since it was dedicated on October 28th, 1886. An interesting piece of trivia is that private vessels are prohibited from docking at Liberty Island. Access to the island is only possible through the Statue of Liberty – Ellis Island Ferry system. Spanning 843 acres in the heart of Manhattan, Central Park is a reprieve form the crazy hustle of the New York City lifestyle. Created in 1857, the park is a place where New Yorkers can bike, run, ice skate (in the winter), attend concerts, and much more. The summer is a great time to take advantage of the free events the park hosts. Things like ‘Shakespeare in the Park’ are a hit. This Friday, Keith Urban will be performing live in the park for free as part of Good Morning America’s summer concert series. Completed in 1931, the Empire State Building is another iconic symbol of New York City. The Art Deco architectural style of this building can be recognized worldwide as a famous landmark of the city. Towering 1250 ft (or 1454 ft to the highest tip), the 103 floors of the building serve mostly as office space. The main draw are the observation decks. the 86th floor observatory and the 102 floor top deck that provides breathtaking views of the city. Not just a gathering place for the naked cowboy, Times Square is another one of New York’s symbols that can be recognized around the globe. 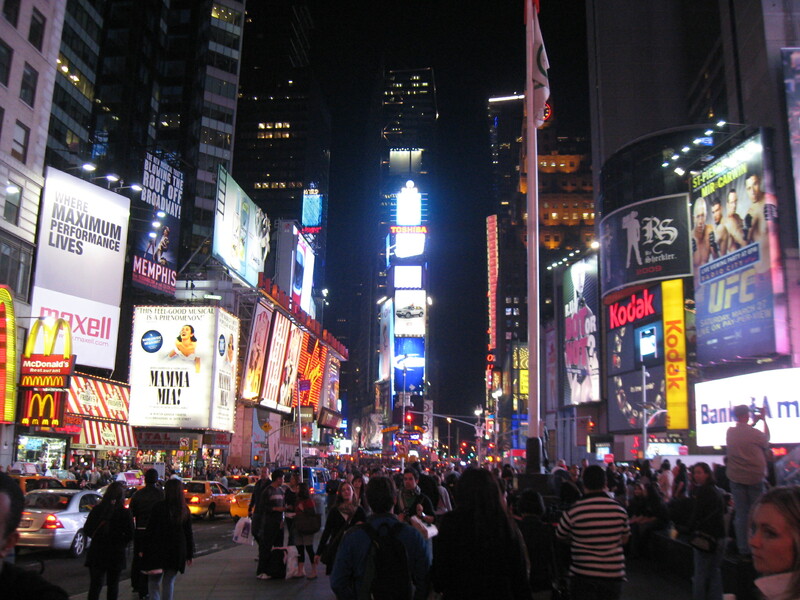 Located in Midtown, Times Square marks the intersection of Seventh Avenue and Broadway. Larger than life advertisements and fluorescent lights accompanied by thousands of people at all hours of the day/night are what makes this place unique and a must see for any first time visitor to the city. Later in the week Lastminutevacations.ca will take a closer look at some of the less popular but just as exciting things to do in New York City.